Motivated by the media tablet market that originated with the Apple iPad, and understanding that the market could explode into a totally new post-PC era, the ICE team stepped up to the challenge. We created the dynamic, eco-friendly, and cost-effective modular computer platform, giving consumers the computing innovation they want and need. And this is just the beginning. ICE Computer is focused on continuing to revolutionize the personal computing experience. The ‘modular’ PCs available today are typically difficult to upgrade, a flaw some attribute to marketing schemes which require users to re-purchase new models every few years in order to stay current with technology. Our fresh perspective on the computing ecosystem makes it as easy to build your environment and as personal as playing with Legos. And, this modular concept is cost-effective, allowing you to change or upgrade your computing components at any time. 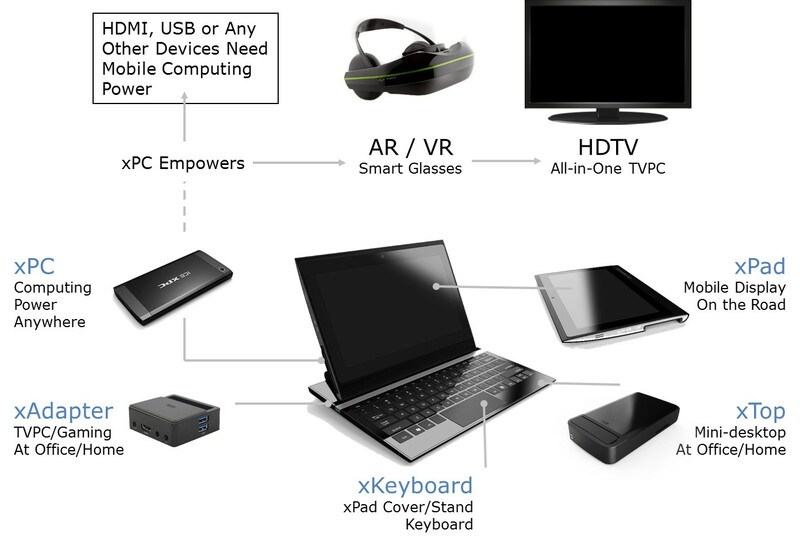 We’ve separated the traditional, integrated architecture of the PC into key components: the processor, data storage, display, keyboard, and peripherals. This design concept facilitates dynamic plug-and-play of ICE processors and all peripherals through matched connectors. At the heart of the design concept is the ICE xPC™ (processor). The xPC™ drives everything, and you can easily assemble, or upgrade. No need for tools or technical knowledge. And no need to replace your entire PC! Since very few manufacturers offer modular computers, it requires computer savvy and knowledge to identify proper sections that allow easy interchange and facilitate upgrades. Unlike traditional “in-chassis” approaches, we have successfully identified and separated key functional components into modules, each with their own small chassis. This approach will allow consumers to be more closely aligned with new technologies, and makes purchasing new, advanced components more cost-effective. We have very high confidence in the technology itself, having demonstrated the prototypes many times at various events. The only challenge we anticipate is mass manufacturing. There are now only a handful of PC manufacturers globally, and 60% of the world's notebook PCs and a majority of PC components for desktops are manufactured in Taiwan. With Taiwan dominating computer manufacturing, and to assist in mitigating any associated risk, we have built a team in Taiwan to work directly with the PC and component manufacturers. Scott Ma, Vice President, was former president of USA operations for Elitegroup Computer Systems, a famous PC manufacturer in Taiwan. Our Chief Hardware and Software Architects have more than 20 years of computing systems research and development experience. The blend of experience from Silicon Valley and Taiwan offers the best product innovation and operations for our current venture. The ICE team is excited and confident in delivering the best and most unique products to consumers.